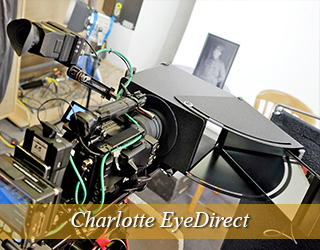 This through the lens teleprompter is most commonly used for video productions and news broadcasts. This allows talent to read script while looking into the camera lens at the same time. 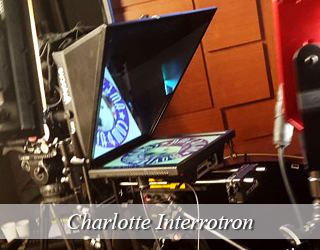 The Interrotron Mark III consists of a director’s unit and talent unit that allows both the director and talent to have a face to face conversation while looking into the camera at the same time. The Interrotron Mark II only allows the talent to view the director. To learn more about the unit, click here. 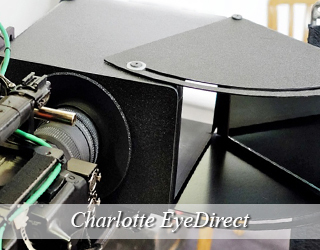 The EyeDirect is a low cost, portable and easy to use alternative to the Interrotron Mark III set up. This device, however, is not ideal for setups with camera movement (pan, tilt, etc.). The ready to ship unit comes in a custom-fitted Pelican case. The case weighs about 30 lbs and is just a bit larger than the typical airline carry-on bag. This device allows talent standing at a podium to address the audience without having to look down or shuffle through notes. The two way glass ensures that only the speaker sees the text, while the audience has a clear view of the speaker. To learn more about the unit, click the link below. 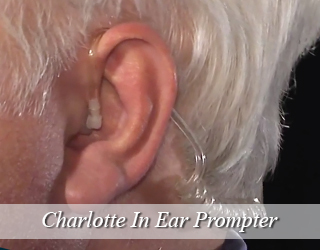 The confidence monitor acts as an alternative to the speech prompter set up. This is ideal for speakers who do not wish to stand at a podium, but rather, would prefer to walk around the stage while still having access to the copy. 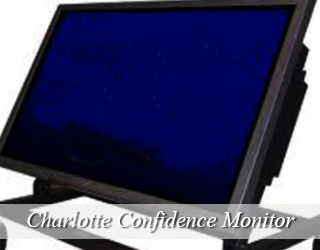 For more information on this device, visit the confidence monitor page. 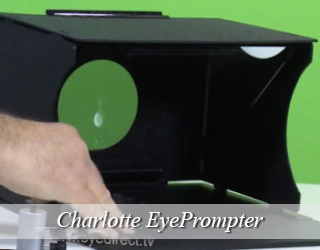 The iPad prompter is a low cost alternative to the through the lens standard unit. The device sets up in less than two minutes and mounts to a baby c-stand or small light stand. We recommend this unit for shorter scripts as most iPad prompter softwares do not allow for live scroll speed adjustment, which means the talent will have to keep up with the pace set by the iPad, rather than an operator keeping up with him/her. Go green! 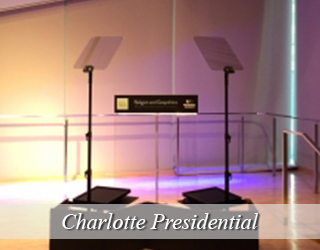 The podium prompter replaces paper notes at live events. 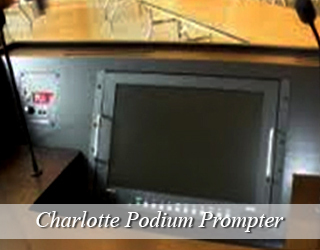 The device is placed on the podium (where one would usually placed nots) and a cable is run to the teleprompter software that is managed by a professional operator. The speaker simply glances down at the device as if he/she were reading notes, and returns his/her gaze to the audience. When life gives you lemons… make llamanade! In my case, it’s all good! I am the eternal optimist! I am elated to be in Charlotte. In fact, I am dancing with pure joy! Moved here with my husband and am working for a local film company as a production office coordinator and associate producer. 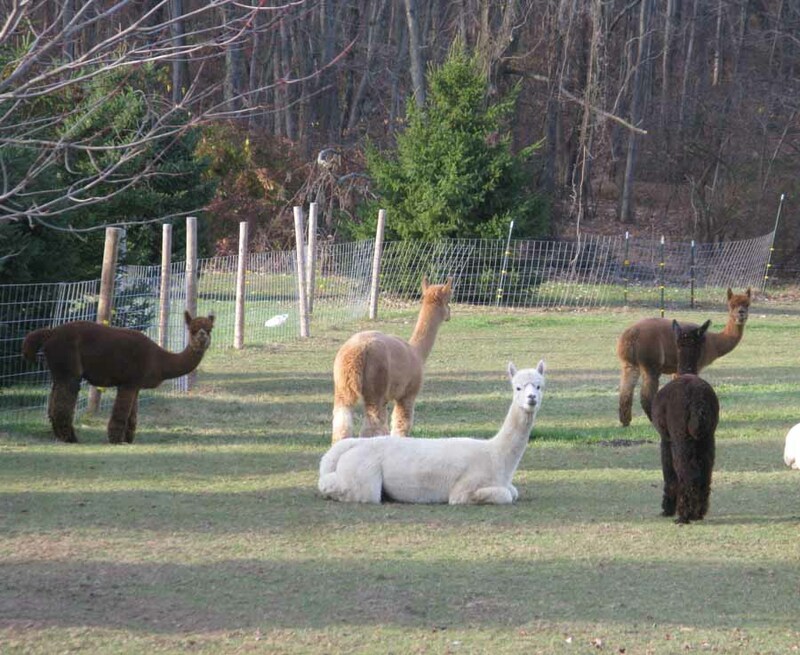 We got married in August in New Jersey adjacent to the farm where these beautiful, serene animals roamed. Miss them. I am looking forward to my new life and my job. Eileen Herrera has been a speech coach since 2012. She graduated from New York University with a degree in Acting. She stayed in NYC and appeared in a number of popular shows including Law & Order and Blue Bloods, until she moved to Charlotte in 2011. Eileen began volunteering at a children’s art program, where she often put on plays. She found that she loved helping talent be their best selves when performing and decided to become a full time speech coach. Since then, Eileen has worked with a variety of actors, CEOs, and speakers perfect their speech skills both on and off screen. Robert Whitmore graduated from University of North Carolina’s School of the Arts with a degree in producing. He decided to take a gap year to travel across the nation and shoot small documentaries with his friends. 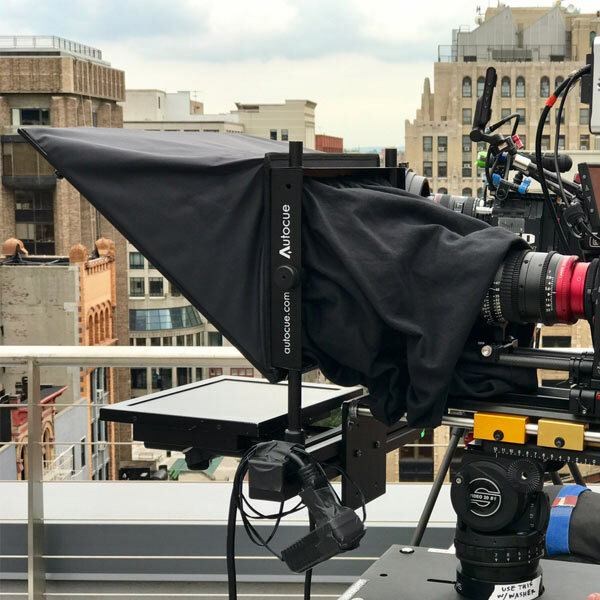 When in New York, he found himself helping out as a production assistant on the set of a feature that was being shot by the American Movie Company team. 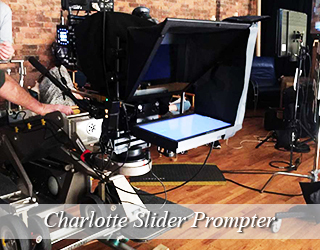 Impressed by his work, Bill offered him an opportunity to become a teleprompter operator – to which he agreed. Robert stayed in New York as an operator for two years before moving to Charlotte, where he became head of the company’s operations in both North and South Carolina. Ian Wilkinson has worked with the company as a prompter operator since 2012. He attended the University of North Carolina School of the Arts and obtained a degree in filmmaking. He spent his summers interning at production companies in NYC, where he met Bill Milling. Impressed by his work, Ian was offered a position as an operator. 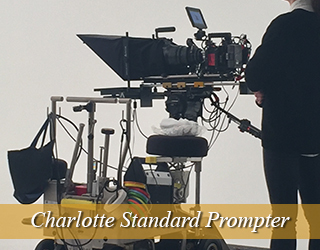 After graduating, he decided to stay in Charlotte as the local prompter operator. He enjoys watching football and loves to take his dog, Batman, out for a game of frisbee. Batman is a delight to have in the office, and spends most of his time exploring his surroundings and getting excited when guests visit the office. The Charlotte Convention Center is conveniently located 7 miles out of Charlotte Douglas International Airport. The venue features 550,000 sq. ft. of available space including 280,000 sq. ft. of exhibit space, 37 flexible meeting rooms, and 2 ballrooms. Outdoor space is also available for use.